Is your organization ready to achieve optimal workflow efficiency through high-impact automation? Making the jump from conventional multifunction devices to a full-fledged production printer is a big decision. It's also cause for celebration – installing a printing press like the Xerox Versant 3100 is a sure sign of expansion and growth. This printer uses state-of-the-art technology to deliver unparalleled performance. With breakneck print speeds capable of approaching 100 pages per minute, automatic color calibration, and support for ultra-high-resolution printing, this device is in a class all of its own. 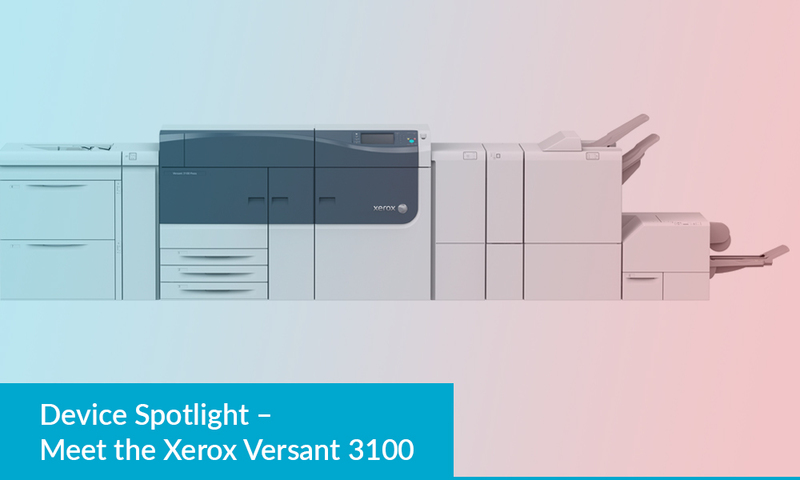 The Versant 3100 combines several innovative Xerox technologies to produce results that competing models cannot match. It outperforms every other printer in its price range in key areas of automation, paper handling, and image resolution. With the ability to deliver up to 250,000 pages per month of vivid, high-resolution print with unprecedented image consistency, it is the top choice for discriminating enterprises and organizations. It will give you the power you need to move marketing and promotional material processes entirely in-house, generating significant cost-savings and making your team less reliant on third-party print houses. When Xerox says that the Versant 3100 offers the best image resolution in the print industry, it is not an exaggeration. This printer supports 2400 x 2400 dpi print resolution, but the true power of Xerox innovation is in the image bit depth. Printers create images by layering individual dots of color on an imaginary grid. Conventional printing presses use 8-bit print engines to determine the exact hue of each dot. Eight bits of information translates to 256 distinct, individual states. An 8-bit print engine chooses the closest hue to the original image's color from among the 256 possible hues it can generate. The Versant 3100 features a standard bit rate of 10. That means that every single dot it places on the 2400 x 2400 grid is colored from a selection of 1024 individual hues. This printer generates images with color depth and vibrancy four times greater than any other printer on the market. The Xerox Versant 3100 is not just a leader in terms of image quality. It is also a highly efficient, automated print production workhorse that uses world-class engineering to reduce the amount of time and effort it takes to produce top-quality prints. One of the ways it does this is by automatically calibrating itself before print runs. 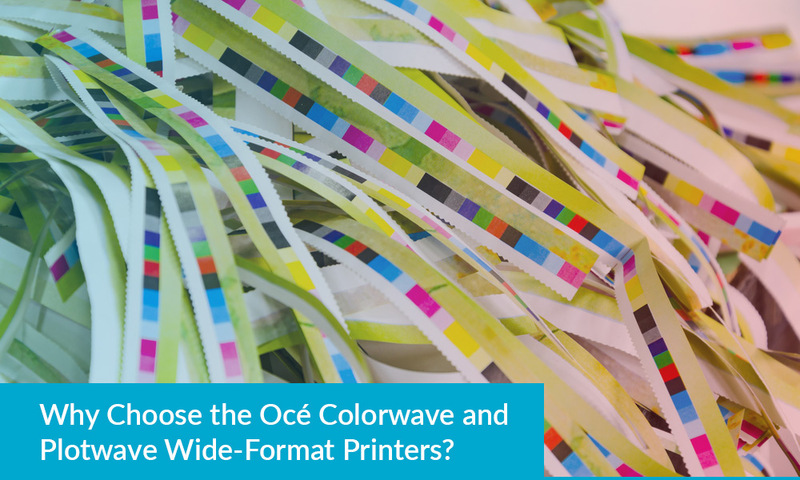 Thanks to the inclusion of a Full Width Array and Xerox Automated Color Quality software, your print operator can save hours of time checking color table references and simply let the machine take care of calibration itself. The Full Width Array also fine-tunes dot density uniformity, which safeguards image quality across the entire page. 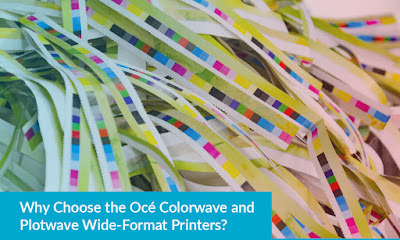 This prevents washed-out areas from popping up on individual pages – a frustrating yet commonplace occurrence in high-volume print environments. The Versant 3100 also features automated image-to-media alignment that eliminates the risk of costly registration errors ruining entire print batches. Anyone with experience in a high-volume print shop knows that a tiny degree of image skew can quickly turn into a massive problem when dealing with large print runs. The Versant 3100 automates error-prone and time-consuming tasks for you. Another time-saving innovation the Xerox Versant 3100 features is automatic sheet clearing. In the world of print, paper jams are the ultimate challenge. A jam at the wrong moment can ruin mission-critical print runs, and so far, the premise of a guaranteed paper-jam-free printer remains out of reach. However, there are ways to minimize the damage and frustration the paper jams cause, and the Versant 3100 is a shining example of how this can be done. If the printing press stops in the middle of a print run because of a jam, it automatically ejects all sheets in the paper path to its top trays. This means that the operator does not have to open every single printer door and scour the entire paper path to free papers from inside the machine before starting the run again. Clearing a paper jam from a high-volume printing press used to be a time-consuming waste – now it takes mere seconds. With compatibility for paper weights of up to 300 gsm, there is no better first-time production printer on the market than the Xerox Versant 3100. Incorporate this tool in your arsenal and you will observe an exponential increase in productivity and efficiency from your print room. Is it time for your company to make the jump from desktop printing to high-impact, high-volume, value-generating printing of in-house marketing materials and booklets? Talk to us! If you think inkjet printing hasn’t changed in recent years then you haven’t seen the major steps made by the Xerox Trivor 2400 HF Inkjet Press. This incredible machine has been designed to be scalable and can fit into busy operations to meet the needs of your business. High performance doesn’t even begin to scratch the surface when describing the Xerox Trivor 2400. Let’s take a closer look. The press interface manages everything from a sleek hub attached to the Trivor 2400. This hub has the capability to manage multiple data streams and can be scaled to suit all configurations available with this press. Color management capabilities are also offered through the interface. With this press interface you have smarter, more capable management right at your fingertips. A modern user interface also makes operation more simple and intuitive. The technology you interact with should match the technology packed into this press. Instead of fumbling through poorly designed menus, you can easily interact with the Trivor 2400 to get the job done quickly and easily. This essential piece of equipment controls and cleans dirt and any contamination within the printer’s web (or rolls) – ultimately improving productivity. The newly designed web cleaner may catch some off guard. The size has been reduced greatly from other web cleaners you may have seen in the past. The technology used to clean the web before printing is much like a lint roller. The sticky surface of the roller can pick up even the smallest particles from the web before the ink is applied. This ensures the best, most consistent printing results. The Xerox Trivor 2400 can manage up to 250 feet per minute of color printing. This is partly due to the new high speed, high capacity dryers that are present within the press. Print more with professional results free of smudging or smearing thanks to the newly designed dryers that are ready to keep up with whatever you have to throw at them. Both infrared and forced air is used to get the job done as fast as possible. The single tower setup makes the Trivor 2400 a powerful machine with a surprisingly small footprint. This is truly a next generation press from the incredible features right down to the stunning appearance. The intelligent scan bar is automatically able to optimize printing without outside input. This massively increases productivity and efficiency with the ultimate goal of producing the best results possible. The scanner can detect any missing jets and compensate during printing. In addition, the intelligent scan bar is able to manage density optimization automatically. All of this happens without user input or effort. The Xerox Trivor 2400 makes getting quality printing work completed easier than ever. The HD Inks used in the Trivor 2400 allow you to use a wider range of media types. There is no need to only use inkjet treated stock to guarantee the best results. You can now also use untreated or offset coated stock as well as inkjet treated stock with matte, silk, or gloss finishes for your printing job. This ultimately allows for greater flexibility and control when planning each individual job. The Trivor 2400 has also been designed to be scalable and customizable. This means you can choose the right setup for today while also giving yourself the opportunity to upgrade in the future as required. This makes the cost of scaling much more easy to manage and also makes it faster to implement upgrades in order to manage your growing business. Plus, as technology evolves, you will be able to implement and scale accordingly without feeling left behind. 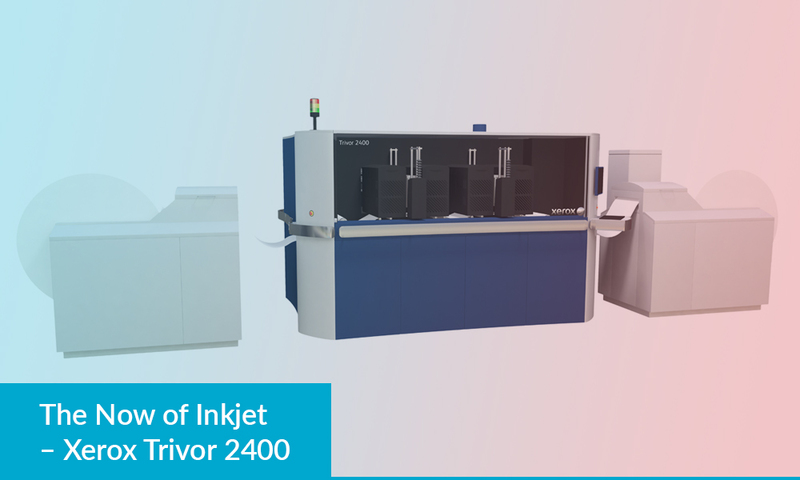 The speed, capacity, scalability, and flexibility of the Xerox Trivor 2400 is perfect for production printing applications no matter what your needs are. The new inks available can help you reduce paper costs and expand application possibilities when printing to ensure no need is left unsatisfied. Plus, on-the-fly automation and optimization reduces the need for outside processes that could delay or slow down printing. Instead, your businesses efficiency is put top-of-mind with the latest printing technology available in an all-in-one solution. Want to learn more about the incredible Xerox Trivor 2400? Contact QBSI-Xerox for a thorough introduction and benefits analysis. Discover how this next generation technology can take your production printing business to the next level. Every business from the smallest mom and pop shops to the largest enterprise is constantly looking for ways to increase their workplace efficiency. With today’s technology, automation is often the top choice for businesses that are looking to increase efficiency. However, what kind of automation will provide the best results and what kinds of new efficiencies can businesses expect? Will the time and budget cost meet expectations? Before you jump into automation, it’s important to understand the efficiencies your business can gain. No matter what business you are in you probably care a lot about the quality of service delivered to your clients or customers. This is the reason brands like McDonalds and Starbucks have grown to be as large as they have. The quality is predictable and repeatable no matter what location you visit. Using automation you can guarantee timelines and, in turn, quality for a wide range of tasks. One of the top customer service complaints is slow response time. Automated email follow ups, automated tasks, and automated service options are all ways to reduce instances of this type of complaint. Automating small tasks can improve quality, efficiency, and reduce customer complaints. The reduction in complaints could then mean less time spent resolving customer issues which is another efficiency gain in itself. Estimates suggest that automation can equal cost savings of up to 75%. That’s a significant consideration for any business no matter its size or operating budget. Those cost savings can be redirected into new products, expansion, pay raises, additional hiring, or any number of other business expenses. Most people don’t work non-stop throughout their day from 9 until 5. There are a number of personal or work tasks that take attention away from activities that actually contribute to the success of the business. Of course, automation can’t make lazy people work any harder. However, with employees admitting to wasting up to one hour per day, automation can turn wasted down time into productive work time. Think about your own business for a moment. Are there tasks that could be automated which would then free up employees to increase their productivity? 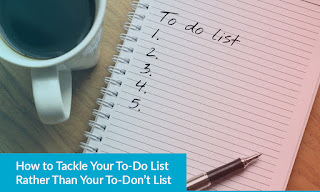 Do some “time wasting” tasks often take precedence over other, more important tasks? 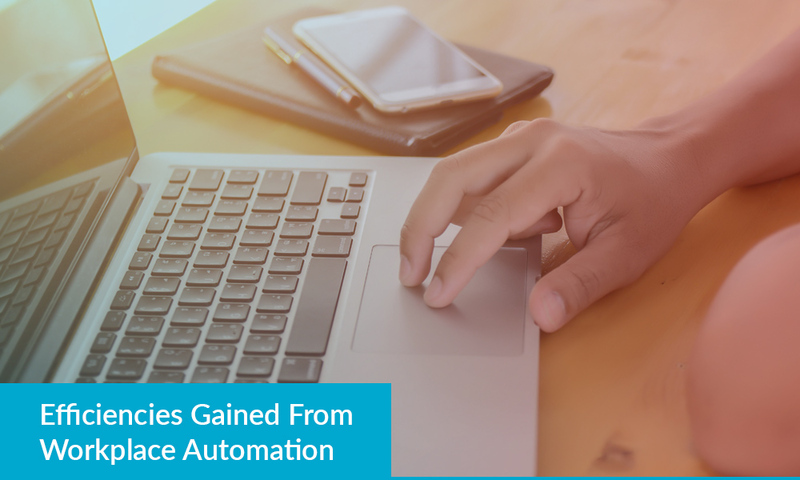 Automation may not kill off online shopping on work hours, but automation can help you streamline your operation and make the most of your employee’s time on the clock. You have probably heard the phrase, “dress for the job you want, not the job you have.” Workplace automation is like a fancy, three piece suit. An efficient workplace is a professional workplace. Who do you think your clients want to do business with: the business with automated, timely processes or the business that always seems to be flying by the seat of its pants? Simple tasks like automated service reminders, regular follow ups after a sale has been made, or tracking and replenishment of supply can go a long way in presenting a professional appearance to your clients. Not only that, but automating these tasks gives your employees more time to do what they do best which is enhance the customer experience through personal connections. While your competition has their employees running around putting out fires or completing mundane tasks, your employees are networking and building relationships. What scenario do you think adds to the bottom line? Workplace automation is coming whether you want to embrace it not. Will you be on the cutting edge or playing catch up? Automation does not have to be a scary word. It does not mean job loss or workforce reduction. What automation does allow is for machines and technology to complete simple tasks while leaving humans to focus on providing superior service levels. How will you integrate automation into your workplace? QBSI-Xerox can help you ensure your workplace is ready for the future. Contact us and see the automation solutions you can integrate today as well as how you can ensure you’re ready for the next big thing before your competitors. How much do you spend on translating multilingual documents? Most companies either hire or outsource translation specialists for this purpose. Until recently, there has been no other option. While hiring in-house translators can be a worthwhile investment, it puts a strain on other core functions that would otherwise be handled by staff allocated to translation processes. In order to cover the cost of paying a full-time translator's salary, you need to be sure that you will have constant need for translation services for the foreseeable future. Organizations frequently address this issue by hiring professional translation service firms. On one hand, professional service firms guarantee top-quality translations, but at a cost that allows them to retain top talent in the competitive translation industry. 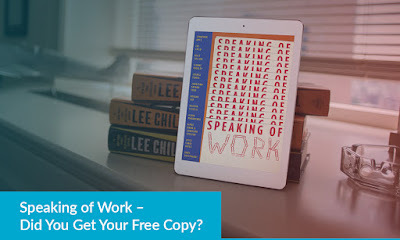 On the other hand, outsourced freelance translators often charge much lower rates. However, their services may not offer the same degree of quality or reliability – particularly when an entire company puts its faith in a single individual for the purpose. Xerox's suite of ConnectKey printer apps addresses this problem by allowing companies to access cloud-based automatic translation services directly from any ConnectKey-enabled printer or multifunction device. Now, businesses can enjoy on-the-fly translation of important documents using industry-leading automated technology. • Both professional and freelance translation services slow down product and service deliveries, and neither can be reliably sped up without sacrificing translation quality or increasing costs. • Traditional translation processes are labor-intensive. There is no way to adequately, reliably scale translation on an ad-hoc, project-by-project basis. • Paper documents are difficult to translate without first investing in optical character recognition (OCR) technology that transforms the paper document into a digital one – if the document's language is supported by the OCR application. Xerox ConnectKey addresses these issues by giving organizations the ability to translate documents to and from 40 languages. The Easy Translator application supports major global languages like French, Arabic, and Spanish as well as smaller regional languages like Lithuanian and Hmong Daw. 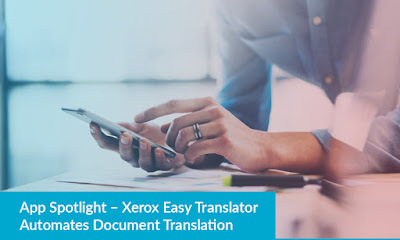 Xerox uses a cloud-based, artificially intelligent translation system that uses ConnectKey-enabled printers' OCR technology to instantly create digital versions of paper documents and then sends the digital document through a secure connection to Xerox translation servers. Using this service, you can reliably scale document translation on an as-needed basis. Subscribe for as few as 10 pages per year or obtain as many as 100,000 pages per year of automated document translation. There are no up-front hardware costs for implementing Xerox Easy Translator. Simply download it from the ConnectKey App Gallery and begin sending your documents in for automatic translation. While AI translation is undergoing rapid development, there are cases when you need dependable access to a human translation service with the same degree of immediacy that automated translation offers. Through the Easy Translate app, you can harness the power of human translators faster and more reliably than with professional service providers and freelancers. In addition to completely automated translation, Xerox offers three levels of professional human translation. • Express. This is the quickest and most affordable translation option. A bilingual human translator will edit machine-generated copy for accuracy and style. • Professional. With professional-level translations, a trained native speaker translates your document and then sends it to an editor for verification before returning the document to you. • Expert. The most challenging documents require expert translation. If your document has high-level content and uses industry-specific jargon, Xerox can have a bilingual expert on the document's subject translate the document from its original language to the target language, achieving native-level translation. All of these translation services are available through the ConnectKey platform. Simply download the Easy Translator app and use it whenever and wherever the need for translation arises. Since ConnectKey is completely mobile-compatible, you can harness the power of instant document translation from your smartphone, anywhere in the world. Xerox OCR technology makes the process as simple as taking a photograph of the document you wish to translate and sending it to the company through the Easy Translator application. Ready to find out how Xerox Easy Translator can streamline your multilingual workflow? Learn more by contacting QBSI-Xerox and speaking with a Xerox ConnectKey expert.